For high-temperature fixed points to be accepted as temperature references, it is of prime importance that their long-term stability is demonstrated. This evaluation is part of the CCT-WG5 high-temperature research project (Machin et al. in Int. 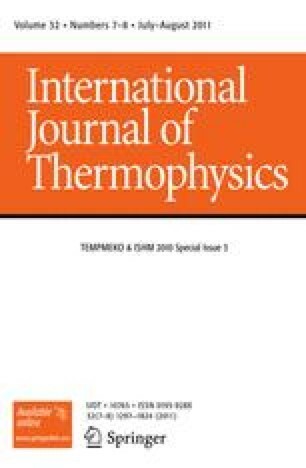 J. Thermophys. 28, 1976 2007) devoted to a comprehensive evaluation of three high-temperature fixed points: Co–C (1324 °C), Pt–C (1738 °C), and Re–C (2474 °C). The assessment of the long-term stability, as well as the robustness of the cells, is examined in the first workpackage of this project. Four cells for each of the eutectic points have been constructed by NMIJ (4 Co–C, 2 Pt–C, and 4 Re–C) and NPL (2 Pt–C), and stability tests have subsequently been performed by NMIJ (Co–C), NIM (Pt–C), and VNIIOFI (Re–C). These tests consisted of ageing one cell among the set of four, for a period of 50 h around the melting temperature. For each of the three eutectic points, before and after ageing, the aged cell was compared to one of the three cells so that any drift due to ageing could be determined. The aged Co–C, Pt–C, and Re–C cells showed no significant damage and demonstrated highly repeatable melting plateaus. In this paper, after a short description of the cells and ageing process (described more completely elsewhere (Sadli et al. in Acta Metrol. Sinica 29, 59, 2008)), the results for the three fixed points are presented and discussed.